BROWARD COUNTY, FL - Broward County&apos;sPort Everglades received its first Leadership in Energy and Environmental Design (LEED)certification for Cruise Terminal 4, which underwent many energy-efficient improvements when it was expanded and completely renovated over the past year. LEED, a U.S. Green Building Council program, is a certification that recognizes best-in-class building strategies and practices. To receive LEED certification, building projects must satisfy prerequisites and earn points to achieve certification. 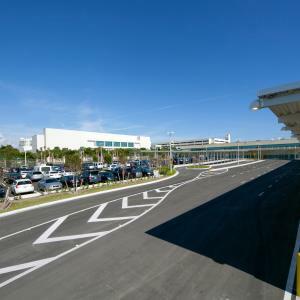 "We decided to renovate Cruise Terminal 4 specifically to comply with LEED guidelines because the certification is widely recognized and it supports Broward County&apos;s sustainability efforts to make buildings more energy efficient and invest in renewable and alternative energy technologies," said Steven Cernak, Port Everglades Chief Executive & Port Director. Port Everglades also has a port-wide energy management program that includes most of theBroward County-owned buildings and facilities, so many of the Port&apos;s other cruise terminals are also &apos;energy efficient&apos; buildings. Port Everglades recently became the first deep-water port in Florida to join Green Marine, an environmental certification program for the North American marine industry. This environmental program makes it possible for ports, terminal operators, and shipping companies to voluntarily reduce their environmental footprint through a comprehensive program that addresses key environmental issues and criteria using eleven performance indicators. The Port Everglades Department is a self-supporting Enterprise Fund of Broward County, Florida government with operating revenues of approximately $153 million in Fiscal Year 2014 (October 1, 2013 through September 30, 2014). It does not rely on local tax dollars for operations. The total value of economic activity at Port Everglades is more than $28 billion. More than 224,000 Florida jobs are impacted by the Port, including 13,322 people who work for companies that provide direct services to Port Everglades. For more information on Port Everglades, go to porteverglades.net or e-mailPortEverglades@broward.org.